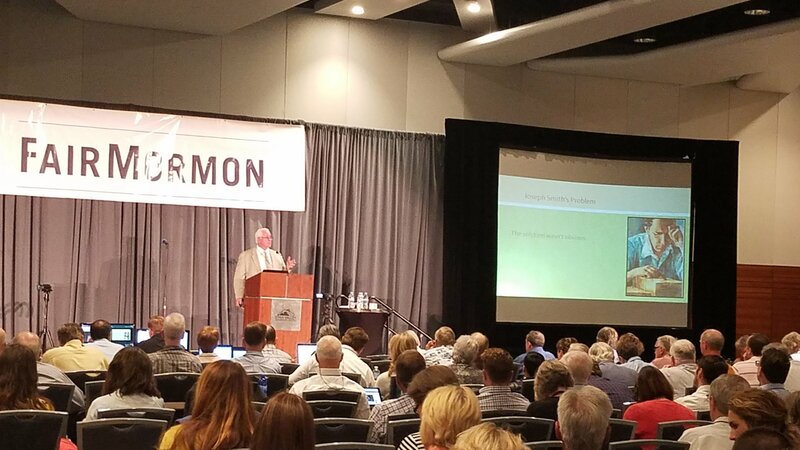 Every year FairMormon, the most popular pro-LDS apologetics organization, holds a conference at which Mormons, including some scholars from Brigham Young University, defend their beliefs. I attended it in 2012 and this year attended its 2017 conference on August 2nd and 3rd, held at the Utah Valley Convention Center in Provo, Utah. I would guess that roughly three hundred people attended each day. This entry was posted in Mormonism and tagged apologetics, Book of Mormon. Bookmark the permalink. Did they really try to say “horses and chariots” are “dogs and litters?” That would be problematic for NUMEROUS reasons, one of which is that dogs are already mentioned in the Book of Mormon. If horse are really dogs, then what are the dogs? Good question! Someone in the audience at the convention asked the corresponding question why, if the animals were dogs, the Book of Mormon didn’t simply call them “dogs.” The speaker admitted he didn’t know. And by the way, I thought the speaker’s presentation was generally very thoughtful and well done; this issue happened to expose a very weak chink in the armor. I discussed the matter a bit further in the article mentioned at the end of my post above.